DTCC President and CEO Michael Bodson was recently featured in Oliver Wyman’s video series entitled, “Market Infrastructure Executive Conversations.” The series gives senior industry executives the opportunity to discuss topics of strategic interest facing the market infrastructure sector. In this frank discussion with Oliver Wyman consultant Alex Lyall, Bodson offers his insights and analysis on a number of important topics facing the financial services industry and financial market infrastructures. The Changing Industry Landscape: Alex Lyall of Oliver Wyman and Mike Bodson of DTCC discuss the current state of the market infrastructure sector, the impact of FinTechs and the pressure to keep costs down and create economies of scale. Technology Innovation: Mike Bodson, DTCC President and CEO, and Alex Lyall of Oliver Wyman take a deep dive into the impact that technology innovation is having on the current market infrastructure. Risk Management & Regulation: What are the risks and regulations affecting the market infrastructure sector and which threats are keeping financial executives up at night? Mike Bodson, DTCC President and CEO, and Alex Lyall of Oliver Wyman discuss. 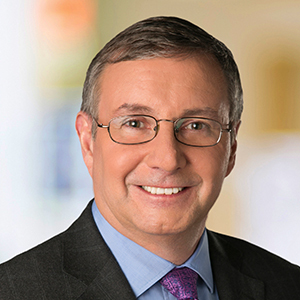 Future Outlook: Mike Bodson, DTCC President and CEO, discusses the future of the market infrastructure sector with Alex Lyall of Oliver Wyman. To watch the video in its entirety, click here. To view other Oliver Wyman’s Market Infrastructure Executive Conversations, click here.